I made it back home! Hooray! I managed to catch a flight very early yesterday morning. I had a wonderful time in London, but it's good to be back home. I have so much to tell you! My trip was very planner-intensive, and I have lots of new products to review. 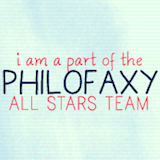 I have posted the full list, along with other topics I'll be telling you about, on Philofaxy. I'll be reviewing my new Filofax (more on that below), the Filofax Travel Journal and Receipts Envelopes (generously given to me by Brigitte at the Filofax shop during our discussion--that will be a whole post of its own! ), several new awesome products from Dodo Pad, and the new-this-year Extra Small Moleskine daily and weekly planners. I'll post the Filofax-related things over on Philofaxy and everything else here on Plannerisms, so stay tuned to both! I bought a new A5 Domino Filofax while I was there and have put my A5 Filofax-compatible Dodo Pad diary into it. This is now my full-time planner, which I will tell you more about soon in a post on Philofaxy. I will update What I'm Currently Using soon to give some details of how I'm using this as my planner and how it fits in with other planners I'm using. So check back soon on both Plannerisms and Philofaxy for new products, new reviews and lots of news!